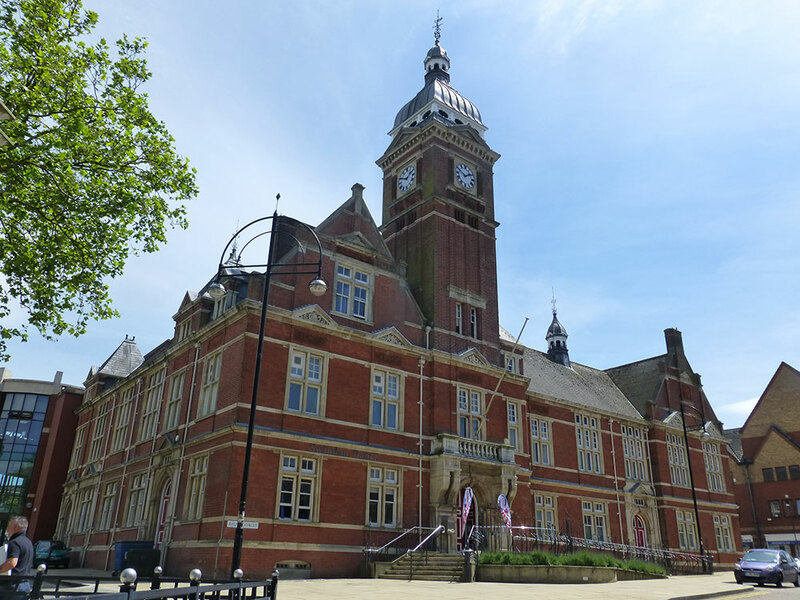 Swindon Dance is located in the old Town Hall building adjoining the Central Library – look for the red brick clock tower! We are situated at the top of Regent Street, one of Swindon’s main pedestrianised shopping streets. The town has many shops and cafes, ranging from high street chains to independent coffee shops. Swindon’s Old Town is a short 15/20 minute walk up to the top of Victoria Road where you will find independent coffee shops and bars. The McArthur Glenn Designer Outlet – is an approx. 20 min walk away. Follow signs to Train Station and Outlet Village. This is pay-and-display with no maximum stay. after 6pm £1.80 for any time up until 6am. £1.50 for 1 hour or £3 for more than 1 hour. Maximum stay 3 hours and Parking Fee is re-funded if you spend £5 in Morrisons. Disabled Parking – There are four 4-hour disabled parking bays outside our building. Swindon Dance is an approx. 12 min walk away – follow signs to Town Centre and then ask for directions to Regent Street and Regent Circus.